Brought to us by Amplitude Studios, a team most known for their galactic turn-based strategy series Endless Space, have announced their most recent endeavour. Set in the Endless Space universe, this title takes the world in a totally different direction. Love Thyself: A Horatio Story is a visual novel which follows Horatio, a bored trillionaire, eccentric in his looks as well as his tastes, and narcissistic in the extreme. Unable to resist the urge to beautify the galaxy, he is on a lifelong quest to populate the universe with, naturally, clones of himself. We eventually got wondering, what would it be like to be one of Him, searching for a purpose (or soulmate…) in life? 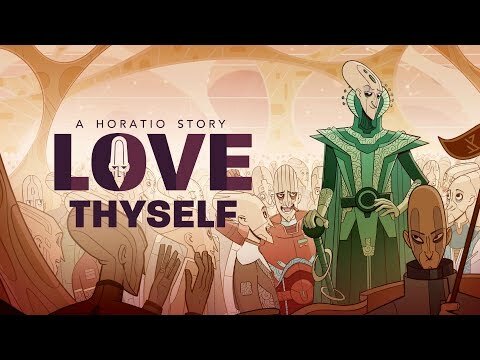 Part 1 of Love Thyself: A Horatio Story is currently available for free on Steam, with a Part 2 planned for a release in Spring 2019.